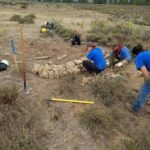 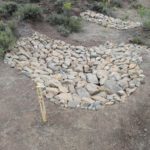 Funded by Great Outdoors Colorado in collaboration with the Upper Gunnison Water Conservancy District, youth corps crews from Western Colorado Conservation Corps spent two weeks in 2018 assisting in a collaborative, large-scale wet meadow restoration that improved habitat for the listed Gunnison Sage-Grouse. 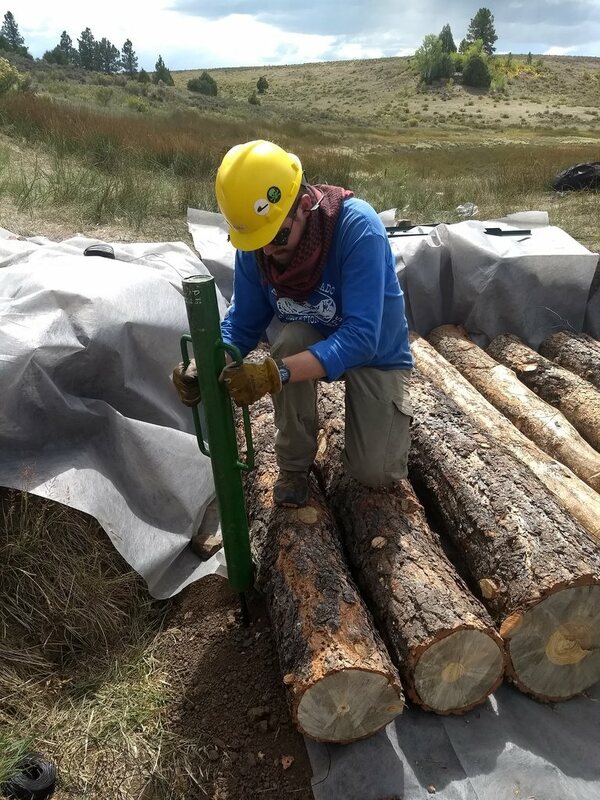 The youth corps crew completed high quality restoration work on private and county lands in San Miguel County (Miramonte Reservoir area). 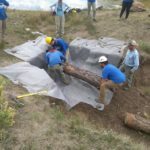 The crew removed small conifer trees that were encroaching into a grassland/meadow ecosystem that is critical habitat for the federally threatened Gunnison sage-grouse. 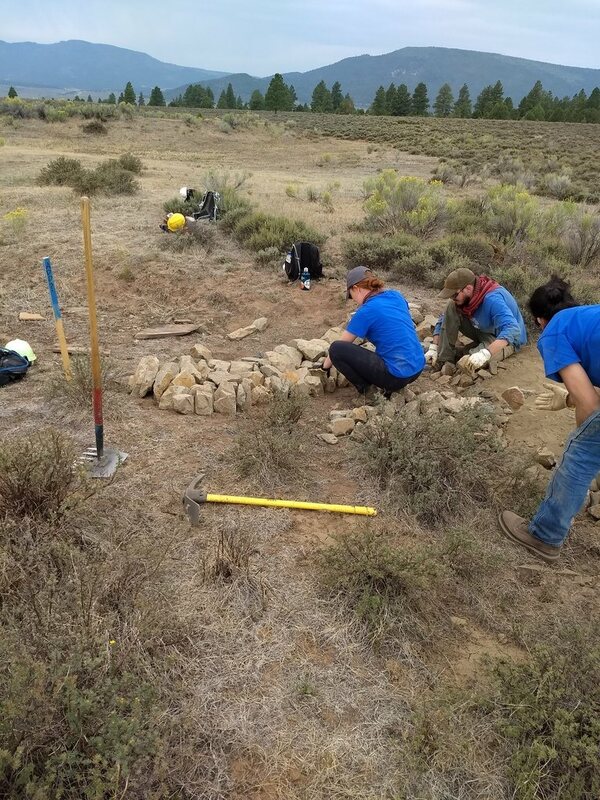 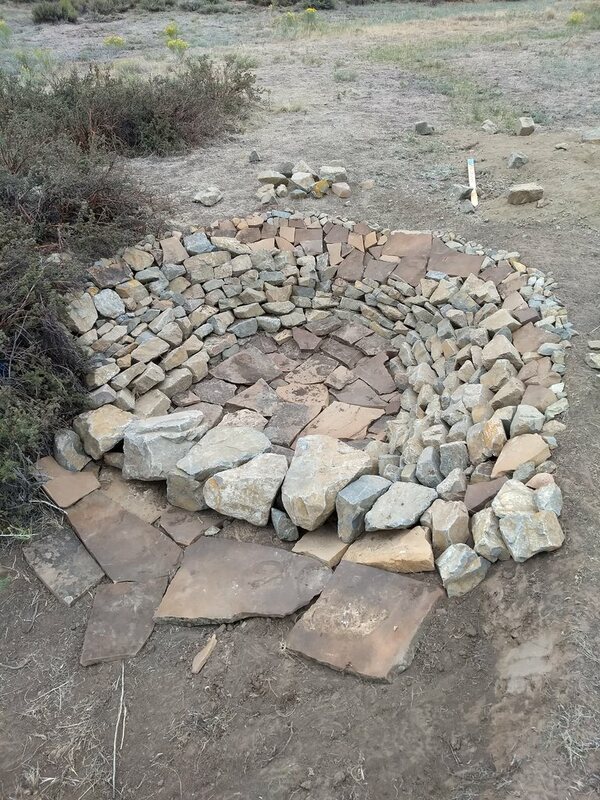 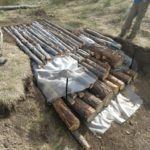 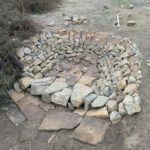 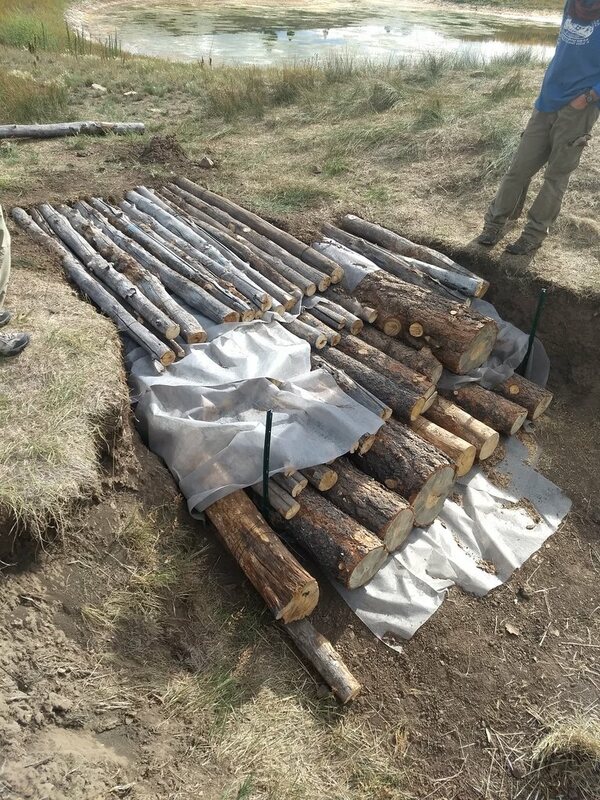 Additionally, the crew built small rock structures (Zeedyk restoration methods) that reduce the negative impacts of erosional gullies and increase forage production by spreading water across the area. 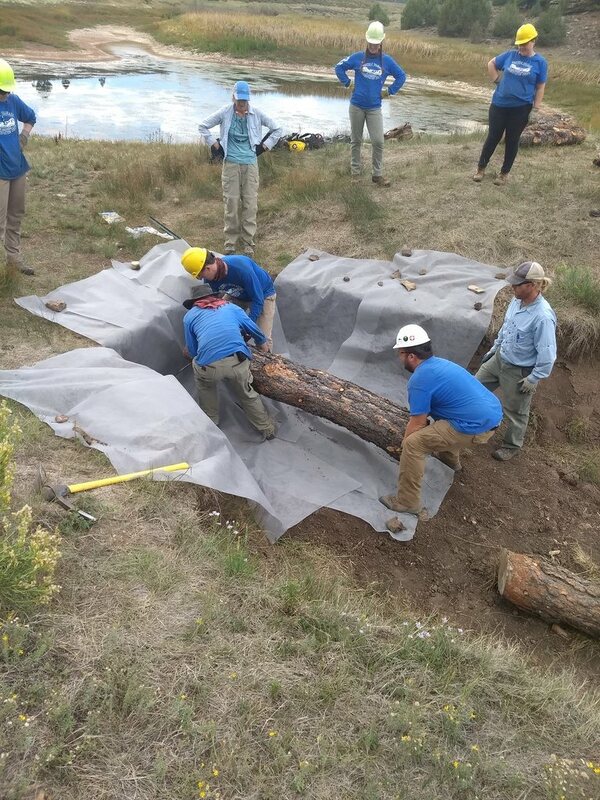 Using a novel and unique restoration method, the crew built a large log & fabric structure on private lands. 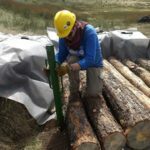 The log & fabric structure will stop a large headcut (6 feet deep by 12+ feet wide) from eroding into the spillway of the landowner’s stock pond. 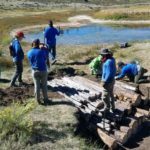 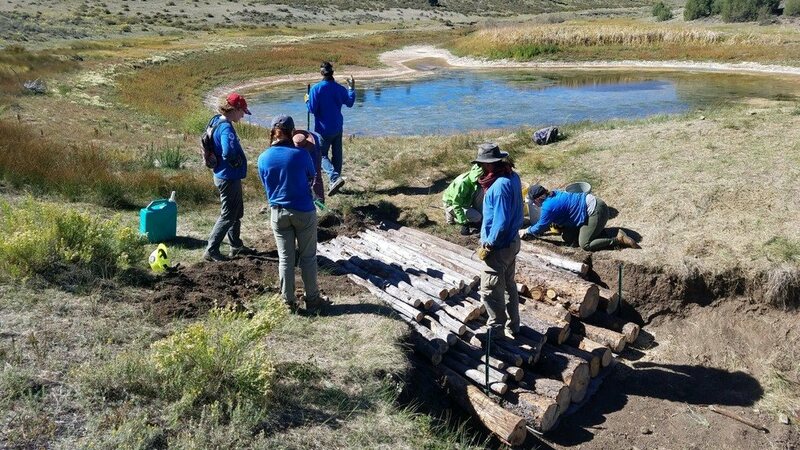 This project contributed to the development of range-wide collaboration and coordination to restore wet meadow habitats in western Colorado. 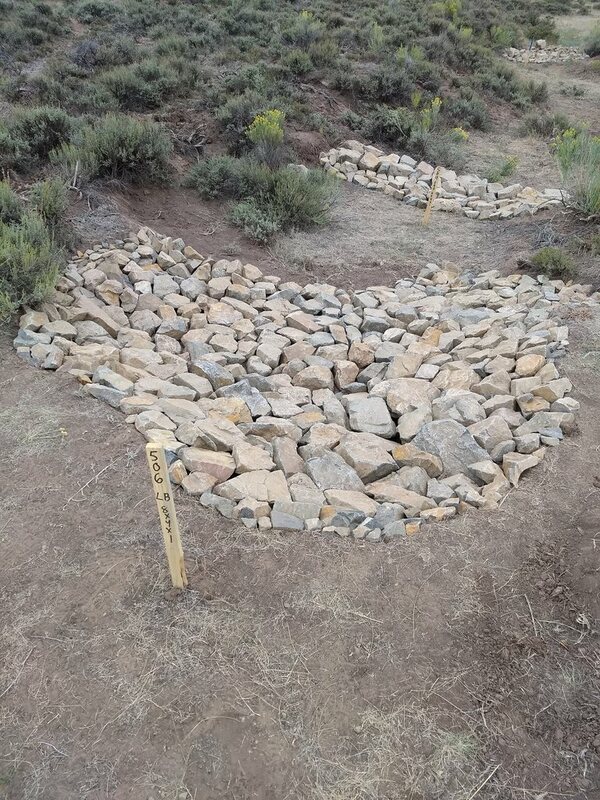 It will improve wildlife habitat and ecosystem function on both public and private lands.